Curated by Pomme Amina Gauhar, the show “No Filter” opened on November 15th at the Alliance Francaise, Karachi. The multidisciplinary show featuring 25 diverse artist’s works, is a show that brings forth an energy, that one could not miss at the opening. With unique performance pieces and stunning photographic works, amongst other things, the show at first glance does not seem to convey a particular theme or narrative. 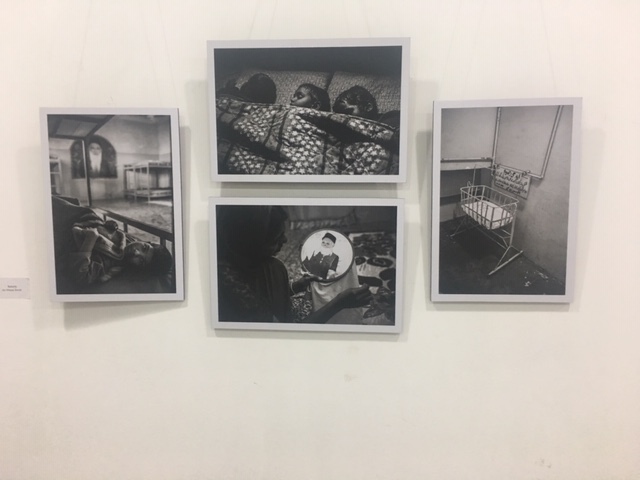 Yet the curator manages to bring together all these unique artists and put up a show that not only ties in perfectly visually but also captures the essence of the city holistically. Artists participating in the show include Abdul Jabbar Gull, Arif Mahmood, Ali Khurshid, Amin Gulgee, Soraya Sikandar, Shahzaib Shaikh, Erum Ero, Asad Kamran, Mishaal Khan, Shelley Pirzada, Amean J, Humayun Memon, Vajdaan Shah, Alee Hassan, Jibran Shahid, Omair Ahmed, Muna Siddiqi, Masuma Halai, Jamal Ashiqain, Sara Pagganwala, Oriane Zerah, Summaiya Jillani, Syed Ammad Tahir, Rumana Husain and Zurain Imam. Renowned artists Amin Gulgee and Sara Pagganwala performed “Play Me” at the opening. 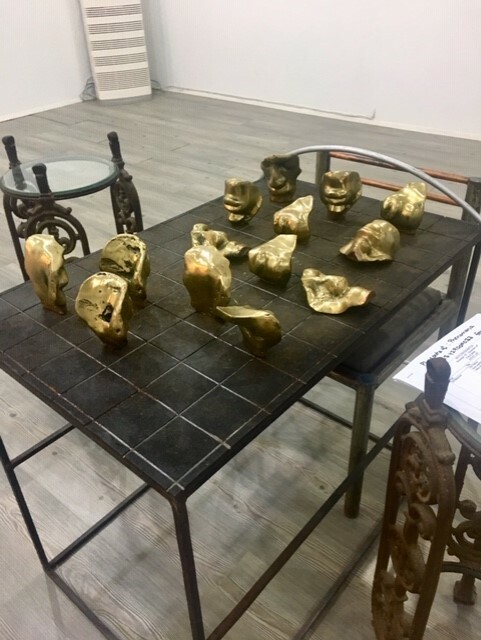 The performance featured both artists facing each other and playing an intense game of what seems to be something similar to chess but using metallic sculptural pieces. 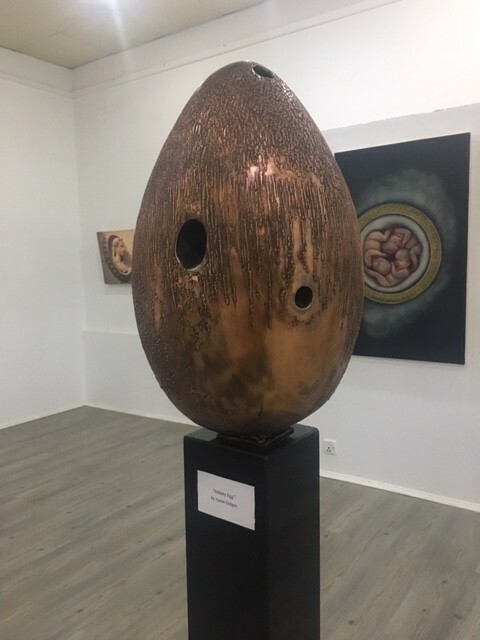 The Sculptural element has been placed in the gallery for viewers to look at as part of the exhibition, even in the absence of the performance. It is perhaps the first installation to catch one’s eye when you enter the gallery space. Viewing it in absence of the artists’ performance leaves the viewer to walk around the piece and view it as a site, and derive their own meanings of it. It is perhaps the same for other art works such as Zurain Imam’s, Syed Ammad Tahir’s and Summaiya Jilani’s, where their spaces function as sites that feel very much alive even in the absence of the performative element. Masuma Halai’s installation “Sar Wadday Sardaaraan de” is another art work similar to the afore mentioned draws the viewer in by its scale and three dimensionalities. Halai works with textiles and explores the idea of articles of clothing and how they represent regional, religious and cultural identities. Another artist who utilizes textiles in his work is Humayun Memon. His work titled ‘Water is life’ is a captivating visual that combines interesting surfaces such as fabric and a glass mirror. The artist has put together a remarkable visual by creating a 3 dimensional interactive element that creates interest. 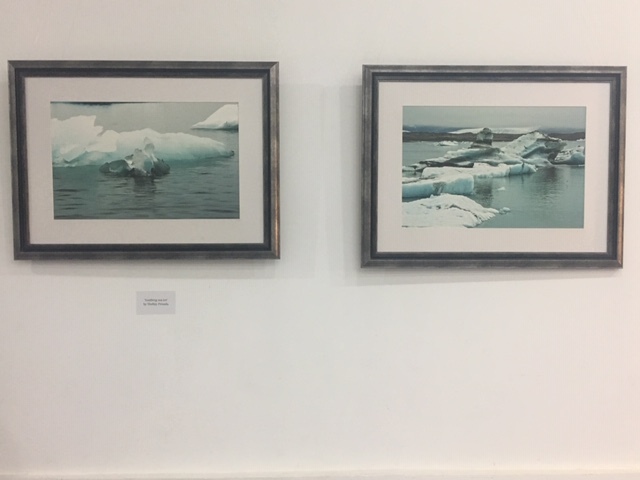 One’s eye travels from Memon’s installation onto the soothing stills of an Icy sea by Shelly Pirzada and further onto Jamal Ashiqain’s ‘Water 111’ that depicts another photo of the ocean. Interestingly unlike Pirzada’s work which is a lot more muted in terms of color and has a very tranquil effect on the viewer, Ashiqains’s photograph captures more movement and hues. On the other hand, the show also features contrasting approaches to the medium of photography. Renowned photographer Arif Mahmood’s work has a more photo journalistic approach. He documents the Hindu Community living in Pakistan. Shahzaib Shaikh in his grid of six photographs documents popular indigenous food spots in city. Each of his works follows a similar format where he splits the frame into two, one side showing the food item and the other half, a portrait of the vendor/cook. Amean J’s work is also a documentation, but unlike Mahmood and Shaikh, he has documented remains of Pakistani heritage in his series of three works titled ‘Faces from a Glorious Past’. 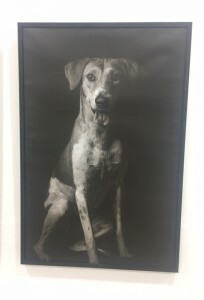 Ali Khurshid through his large scale achromatic portraits of stray dogs leaves the viewer with an impact. With a title such as ‘The dog you shot’, Khurshid’s direct unfiltered rendition of these photographs really hits home, and makes the viewer conscious of how animals on the street are being treated in our city. This article could not possibly do justice to the vastness of the show and all of the participants. Each work be it a painting, a photograph or a performance deserves to be viewed and discussed due to their uniqueness and conceptual depth. On the whole, the show “No Filter” showcases quite a few distinct artists with unique approaches, that collectively put together a refreshing, energetic and thought-provoking exhibition.